Bengaluru: Bengaluru FC announced the signing of experienced Spanish forward Braulio Nóbrega Rodríguez on a one-year deal, the club announced on Monday. The 31-year-old La Liga veteran becomes the fourth Spaniard at the club joining fellow countrymen Juanan Gonzalez, Dimas Delgado and Antonio Dovale. The former Spain Under-20 international joins the Blues after netting an impressive ten goals in 15 league games along with two in the cup for Doxa Katokopias FC in the 2016-17 Cypriot First Division league while helping his side survive relegation. Born in Puerto del Rosario on the Canary Islands in the Atlantic, Braulio, who came through the ranks at Atlético Madrid, turned professional in 2004 joining the reserve side of the Rojiblancos. He scored 17 goals in 26 games for the ‘B’ side while also playing frequently with the main team in the La Liga. During the second half of 2005-06 season, he joined fellow La Liga side Mallorca on loan before having another loan spell with UD Salamanca where he scored 14 times in the Segunda Division. Braulio was then signed by La Liga side Getafe CF for the 2007-08 season where he not only featured regularly during the league campaign but even starred at the continental level scoring thrice in the UEFA Cup – the highlight being a fantastic back-heel goal against Tottenham Hotspur, along with a game-levelling strike past Oliver Kahn of Bayern Munich in the competition’s quarterfinal. Thereafter, the striker had spells with a number of Spanish teams in Real Zaragoza (2008-11, La Liga & Segunda Division), Recreativo del Huelva (2010, 2014-15), FC Cartagena (2012, Segunda Division), Hércules CF (2012–13, Segunda Division), Caudal Deportivo (2016, Segunda ‘B’), apart from stints with Malaysian Super League’s Johor Darul Ta’zim (2013–14) and Greek Super League side AEL Kalloni F.C. (2015-16) before joining Doxa. “I’ve already put in a couple of sessions with the team and I feel very comfortable. It feels like I’ve been training and playing with this bunch for a while now. I will be doing all I can to help the club achieve its goals,” he added further. Bengaluru: Federation Cup champions Bengaluru Football Club, on Monday, announced the signings of midfielders Bidyananda Singh and Robinson Singh on two year contracts. While Bidyananda joins from ISL side Atletico De Kolkata, Robinson Singh joins the Blues from Mohun Bagan. 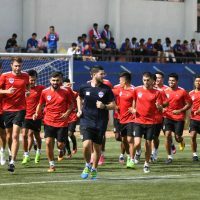 Bengaluru: Bengaluru FC kicked off their 2017-18 pre-season with an open training session at the Bengaluru Football Stadium on Wednesday in front of the Blues’ faithful who turned out in numbers to vociferously cheer their heroes on. With the AFC Cup Inter-zonal Semifinal against North Korean side April 25 SC fast approaching, the Blues wasted no time in starting off their pre-season training in the city three days post the ISL Draft. Speaking on the sidelines of the season’s first ever training session, Head Coach Albert Roca was delighted to be back in action. “We’re happy to be back on the field. Our target is to build on last season’s progress as we move into a new chapter in the club’s history. But before our domestic season begins, we’ve got big matches coming up fast in the AFC Cup. We don’t want to waste any time and prepare the best way possible for the first leg at home. The Spain tour will also help us massively as it gives us a good opportunity to gel as a squad,” he said. The day at the BFS began with an introductory meeting between the new players and the staff, both technical and non-technical as the club welcomed its new signings into the fold. Albert Roca and co. then quickly briefed the players about their expectations for the tough season ahead while encouraging them to train at the highest level always. On the field, it was all about sessions in endurance training which was overlooked by the entire coaching staff. The idea was to assess the players’ physical condition before the day was rounded off with a core session. The players and staff then interacted with the fans before posing for selfies and signing autographs. Following a recommendation from the All India Football Federation (AIFF), the Competitions Committee gave special dispensation for the Indian Super League (ISL) which will be played simultaneously with the I-League for six or seven months in 2017 and 2018 as a temporary short-term ‘bridging solution’. AIFF’s recommendation to the AFC was that the ISL will replace the Federation Cup, whose winner is currently allocated an AFC Champions League Play-Off place AFC Cup preliminary stage place. Therefore, the Committee approved that the I-League champions will play in the AFC Champions League Play-off round and the ISL Champions will play in the AFC Cup preliminary stage – as long as all clubs adhere to the AFC rules and regulations, particularly club licensing, from 2018. The situation will be reviewed on a yearly basis with conditions which, in addition to adherence to club licensing regulations, include promotion, production, a player allocation system and the following of the Road Map agreed between the AFC and Indian football stakeholders at a meeting in Kuala Lumpur on June 7, 2017. 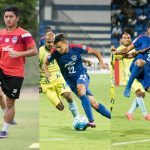 Bengaluru: Bengaluru FC went about their business smartly at their first ever Hero Indian Super League draft retaining five players from last season while strengthening their squad further by adding eight more Indian players, in Mumbai on Sunday. First pick and fan-favourite goalkeeper Lalthuammawia Ralte was joined by Harmanjot Khabra, Lenny Rodrigues, Alwyn George and local-boy Calvin Abhishek among the players who will continue to be part of the squad. These players, along with the existing retentions in Sunil Chhetri, Udanta Singh, John Johnson, Juanan, Nishu Kumar, Malsawmzuala and Daniel Lalhlimpuia, will boost the squad ahead of the AFC Cup Inter-Zonal Semifinal against North Korean side April 4.25 SC in a month’s time from now. Joining them will be seasoned professionals in goalkeeper Abhra Mondal, midfielder Boithang Haokip and defenders Rahul Bheke and Zohmingliana Ralte, along with exciting youngsters Joyner Lourenco, Collin Abranches, Thongkhosiem Haokip and Subhasish Bose. 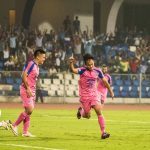 While new signings Abhra Mondal and Boithang Haokip bring in loads of experience, the likes of Rahul Bheke and Zohmingliana Ralte were few of the stand-out performers in Indian football over the last few seasons. Rahul has created a name for himself on the domestic circuit with consistent performances for Air India, Mumbai FC, East Bengal, Kerala Blasters and FC Pune City over the last six seasons. Meanwhile, Zohmingliana, an ex-Pune FC and DSK Shivajians player, was an ever-present figure in Aizawl FC’s fairy-tale run to the I-League title. In fact, Aizawl were second only to Mohun Bagan when it came to conceding goals as they romped to the title with Zohmingliana scoring a decisive goal against the Kolkata club in the penultimate game of the season. 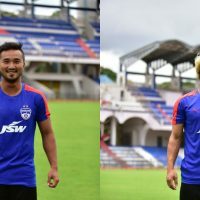 Bengaluru FC continued their tradition of keeping faith in youth by snapping up striker Thongkhosiem Haokip and left-back Subhasish Bose. Twenty-four-year-old Haokip was the highest scoring Indian player in the 2014-15 I-League netting seven goals throughout the season while at Pune FC. He then had stints with Salgaocar FC, FC Goa, Kerala Blasters and East Bengal. Twenty-one-year-old Subhasish, on the other hand, had a breakthrough season at Churchill Brothers, before becoming a defensive mainstay for Sporting Goa in 2016 which prompted Mohun Bagan to sign the talented youngster. His impressive performances with the Kolkata-side even caught the eye of National Team Coach Stephen Constantine who called him up to the National Team camp, while also being part of the Indian U-23 team for the AFC Championship Qualifiers 2017. Bengaluru: Continuing the rebuild of their squad for the upcoming season, Bengaluru FC have retained two of the most promising youngsters in Indian football in midfielder Malsawmzuala and defender Nishu Kumar, keeping them at the club till the end of the 2017-18 season. The duo make grade for the ‘under-21 uncapped players’ slot for the Indian Super League. Meanwhile, Indian International striker Daniel Lalhlimpuia continues to remain part of the squad and will feature in the Blues’ AFC Cup campaign. While the Inter-Zonal semifinal against North Korean side 4.25 SC is up next in the 2017 AFC Cup for runners-up Bengaluru FC, they will also be playing in the 2018 edition of the competition having sealed qualification courtesy the Federation Cup triumph in May. 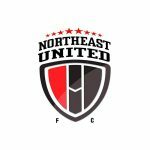 Superstar John Abraham’s popular football club, the NorthEast United FC (NEUFC), took its first major step towards nurturing footballing talent across the eight states of North-East India by launching its own Residential Youth Academy. The Centre of Excellence (CoE), as it has been baptized, will operate out of Shillong and offer the handpicked kids the best in terms of training, education and competition throughout the year. “This is a dream come true,” John Abraham said while making the announcement. “When I bid for the team three years ago my first goal was to start a residential academy for the talented kids out there. We will all do everything in our power to provide every talented child the opportunity to learn and eventually play for the NEUFC first team,” he added. The ambitious plan fell into place after NEUFC joined hands with Shillong United FC, formerly known as Royal Wahingdoh FC, to develop the region into a footballing power centre. “We are delighted to start this developmental project with NEUFC,” Dominic Tariang, owner of Shillong United and Partner-Youth Development, stated. “We have already charted a well-defined and competitive pathway for the fantastic talent pool of the North-East. We want to showcase all this on the biggest footballing stage in India,” John added. Dominic Tariang thanked John Abraham and the NEUFC for being such strong believers in the football potential of the North-East. “Our partnership creates synergies that will benefit the footballing environment of not just Shillong but all other parts of the region,” he added. “We have found a great partner in Dominic and Shillong United and we share our passion and love for football in the North-East,” John supplemented. The two clubs will diligently pick the best students for the CoE and not only provide them training and education but also competition throughout the year. Shillong United already has a solid base in the capital and will give the chosen ones opportunities to play and enhance their skills in the Shillong State League and other competitions. The CoE will create teams in the Under-13, the Under-15 and Under-18 categories so that the NEUFC has an abundance of young talent to choose from in the near future. Panaji, 18th July 2017: FC Goa has confirmed the signing of Spanish forward, Ferran Corominas on a free transfer. Popularly called ‘Coro’, the 34-year-old has raked up over 250 appearances in La Liga and has a wealth of experience behind him having turned out for the likes of Elche, Osasuna, Mallorca and at Espanyol where he spent the best part of 10 years. Coro started out at Espanyol in the B Team before being promoted to the first team in the summer of 2003. After saving the club from relegation with a last minute goal in the 05/06 season, Coro went on to win Copa Del Rey and was also instrumental in the club’s run to the UEFA Cup final in the 06/07 season where they finished runners up to Juande Ramos’ Sevilla. 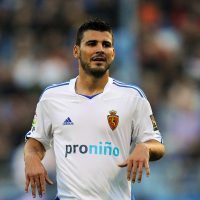 Coro then moved to Elche via Girona where he once again was a vital cog in the team and donned the captain’s armband on various occasions where he helped the club maintain its status in La Liga over several seasons. A diminutive forward, Coro largely operates as a second striker and is excellent at linking up play and occupying spaces between the opposition’s defence and midfield. Boasting a quick turn of pace, Coro is known to favour the odd spectacular goal or two. Panaji, 12th July 2017: FC Goa have confirmed the signing of winger Manuel Arana on a one year contract. Arana, who largely operates from the right wing last played for Brisbane Roar in the A-League & Asian Champions League last season where he racked up 5 assists and made 24 appearances.